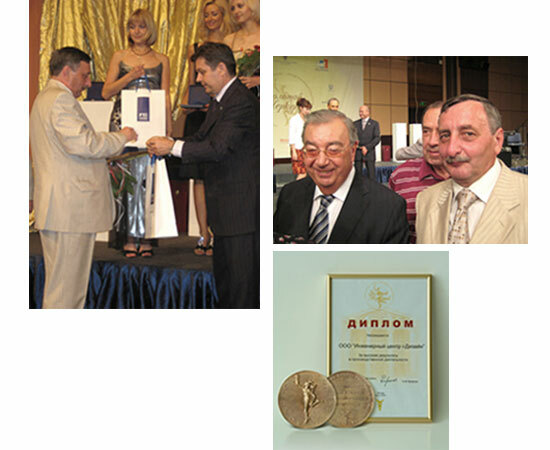 national prize "the golden mercury"
regional prize "the golden mercury"
On the 20th of June 2008 the company "Engineering Centre "i-Design" LTD became a laureate of the prestige Russian award by the decision of the National Experts Council of National Award of Russian Chamber of Commerce and Industry in business "The Gold Mercury" — 2007. The ceremony of presentation of the awards took place in Moscow, International trading center. The president of Chamber of Commerce and Industry of RF E.M. Primakov, heads of federal legislative and executive authority and famous public figures took part in this cultural event.